Plan a vacation in a golf villa located on one of the area golf courses near Sunset Beach and Ocean Isle Beach, NC in Brunswick County. Just minutes away from the white, powdery sand on Sunset Beach and Ocean Isle Beach, our condominium accommodations at Colony I and Colony II at Oyster Bay Golf Links, or Sea Trail (Club Villas, Royal Poste, Champions) and Sunset Village at Sandpiper Bay Golf Course offer spacious options along the beautifully manicured grounds of some of the best golf in our area. Enjoy a relaxing vacation with stunning views of the fairways and greens. Select Pet Friendly Condos Available! Sunset Village at Sandpiper Bay Golf & Country Club offers spacious villas situated directly on the golf course with spectacular views of the fairways and greens. For your added enjoyment Sunset Village has a fully-stocked pro-shop, driving range, putting green, 2 outdoor swimming pools, 2 hot tubs, tennis courts and grilling and picnic areas. Fine and casual dining are conveniently located at nearby Pipers Restaurant. Select properties are pet-friendy and have wireless internet services - Amenities and bedding configurations vary by property. Four twin beds, one queen bed, one sleeper sofa, cable television, large living and dining area, fully-equipped kitchen, washer/dryer and private screened deck. Some villas are equipped with six twin beds. Four double beds, cable television, large living and dining area, fully-equipped kitchen, washer/dryer and private screened deck. The Colony I is a private resort community with luxurious villas overlooking the lush, barbered greens, marshland hazards, and abundant wildlife located on the first and second fairways of Oyster Bay Golf Links. For your added pleasure you can enjoy the outdoor pool/hot tub, tennis courts, basketball court, grilling and picnic areas. Select properties are pet-friendy and have wireless internet services - Amenities and bedding configurations vary by property. Four double beds, cable television, large living and dining area, fully-equipped kitchen, laundry room with washer/dryer, wrap-around deck and screened porch. Two double beds, cable television, large living and dining area, fully-equipped kitchen, laundry room with washer/dryer, and deck. Four twin beds, one queen bed, one sleeper sofa, cable television, large living and dining area, fully-equipped kitchen, washer/dryer and private deck. Four double beds, cable television, large living and dining area, fully-equipped kitchen, laundry room with washer/dryer, and private deck. Two double beds, cable television, living and dining area, fully-equipped kitchen, laundry room with washer/dryer, and private deck. Two double beds, cable television, small refrigerator, microwave, wet bar and whirlpool bath. Sea Trail Golf Resort is a multi-faceted community home to 3 premier golf courses on site all within close proximity to the pristine beaches of Sunset Beach and Ocean Isle Beach. Royal Poste at Sea Trail are private resort condos strategically situated along the course fairways within expansive coastal forests in this community. Select properties are pet-friendly. Amenities and bedding configurations vary by property. All condos are non-smoking and equipped with wifi, linens/towels and include complimentary departure cleaning service. Located within the Sea Trail community and available for guest use is a recreational facility - The Village Activity Center - featuring indoor heated pool/hot tub, outdoor pool/outdoor kiddie pool, Tiki bar and exercise classes. Use of The Village Activity Center requires a minimal daily fee payable on-site. Custom golf packages available year-round. Two, Three or Four beds (bedding configurations vary), cable television, open adjoining living, dining and kitchen area, laundry area with washer/dryer and deck or patio. Sea Trail Golf Resort is a multi-faceted community home to 3 premier golf courses on site all within close proximity to the pristine beaches of Sunset Beach and Ocean Isle Beach. Club Villas at Sea Trail are private resort condos strategically situated along the course fairways within expansive coastal forests in this community. Select properties are pet-friendly. All condos are non-smoking and equipped with wifi, linens/towels, and include complimentary departure cleaning service. Located within the Sea Trail community and available for guest use is a recreational facility - The Village Activity Center - featuring indoor heated pool/hot tub, outdoor pool/outdoor kiddie pool, Tiki bar and exercise classes. Use of The Village Activity Center requires a minimal daily fee payable on-site. Custom golf packages available year-round. Two beds (bedding configurations vary), cable television, open adjoining living, dining and kitchen area, laundry area with washer/dryer and deck or patio. Four to Six beds (bedding configurations vary), cable television, open adjoining living, dining and kitchen area, laundry area with washer/dryer (some condos have two kitchens/laundry areas), and deck or patio. Six to eight beds (bedding configurations vary), cable television, open adjoining living, dining and kitchen areas, laundry areas with washer/dryer (two separate kitchens/laundry areas on upper and lower levels), and deck or patio with screened porch. The Champions at Sea Trail are exclusive condos on the Sea Trail Byrd Golf Course featuring fairway views and serenity. The Champions has a pool and hot tub on site for guest use and is located next to the Jones/Byrd Clubhouse. The Sea Trail Resort is home to 3 premier golf courses all within close proximity to the pristine beaches of Sunset Beach and Ocean Isle Beach. All condos are non-smoking and equipped with wifi, linens/towels and include complimentary departure cleaning service. Located within the Sea Trail community and available for guest use is a recreational facility - The Village Activity Center - featuring indoor heated pool/hot tub, outdoor pool/outdoor kiddie pool, Tiki bar and exercise classes. Use of The Village Activity Center requires a minimal daily fee payable on-site. Custom golf packages available year-round. River Creek II at Sea Trail overlooks Sea Trail Maples Golf Course featuring panoramic private fairway views. The Sea Trail Resort is home to 3 premier golf courses on site all within close proximity to the pristine beaches of Sunset Beach and Ocean Isle Beach. Located within the Sea Trail community and available for guest use is a recreational facility - The Village Activity Center - featuring indoor heated pool/hot tub, outdoor pool/outdoor kiddie pool, Tiki bar and exercise classes. Use of The Village Activity Center requires a minimal daily fee payable on-site. All condos are non-smoking and equipped with wifi, linens/towels and include complimentary departure cleaning service. 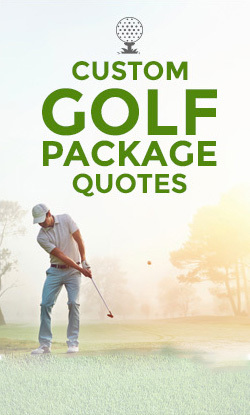 Custom golf packages available year-round.